Boerne Air Conditioning Experts is your reliable local source for any and all air conditioning repair and installation needs in Helotes, TX and the surroundings areas. Our team understands that the process of finding a qualified and trustworthy AC repair company can be an aggravating aspect of home ownership. First, you find yourself with a broken air conditioner (most likely in the hottest month of the summer), and second, you are faced with finding a reliable AC repair company. As a homeowner, you’ll quickly find that an air conditioner that is not working properly will drive up your energy bills before shutting down completely and creating uncomfortable living conditions. Finding an AC repair company that is accountable and experienced without being overpriced can be just as miserable as living without the comfort of air conditioning. Luckily, there are a few ways to distinguish the good from the bad. 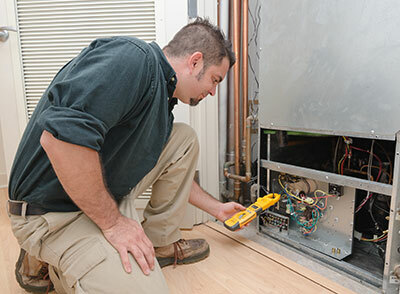 First, you’ll want to find a AC repair company who provides you with a detailed estimate and an outline of work. 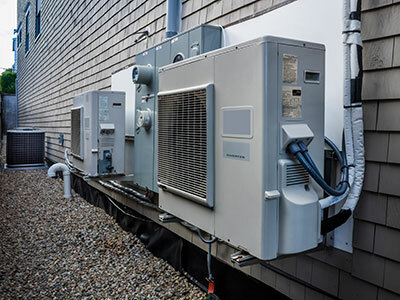 Simply discussing AC repair details and costs over the phone will often lead to incomplete and over-priced repair of your air conditioning unit. It’s far better to have a comprehensive evaluation of the services needed to get your air conditioner functioning properly and have those details written and explained. Having a complete outline of services and costs will not only protect you as the customer, but will also insure that your AC repair contractor is doing everything they are supposed to and not doing more than what is needed. At Boerne Air Conditioning Experts, we’ll evaluate your system as a whole and let you know exactly what to expect. We will make recommendations and explain why something needs to be fixed before we touch it. As a result of our detailed evaluation, there are no hidden costs, so what you are quoted is exactly what you will pay. Next, you want to ensure that you’re not being overcharged. AC repair costs can vary greatly, therefore the only way to truly ensure that you are not overpaying is to get multiple quotes on your job. Take the time to research the average price tag in the Helotes, TX area for AC repairs. It’s equally important to be aware of a price that is too high, as it is one that is too low. Look for a company that will offer free estimates for your AC repair so that you are best able to compare your options. Once you’ve received estimates from multiple companies, you’ll be able to make a better decision when it comes to choosing your contractor; however, be cautious when choosing the service offering the lowest cost—sometimes a low price does not always come with high quality results. Of course, these are not the only questions to keep in mind when it comes time to choose an AC repair company, but at Boerne Air Conditioning Experts, we believe these will help you as you begin your search. If you are in need of a reliable, available, and trustworthy AC repair contractor in Helotes, TX and the surrounding area, contact us today to schedule an evaluation of your system.